Libraries with UI components for Android are mostly used in apps to speed up the design and development of user interface elements and widgets in Android apps. These libraries offer all kinds of functionalities like image zooming, circular ImageView, material design, progress bars and other quick improvements to the user interface. This overview of UI component SDKs provides you with the most-used and well-known libraries including SDKs like Viewpage indicator, Photoview, Android wheel and Actionbar Sherlock. Yoga is a cross-platform layout engine which implements Flexbox. Views and Drawable for displaying animated GIFs on Android. A circular ImageView to display profile images. A library that allows use of Material designed dialogs down to API 8. 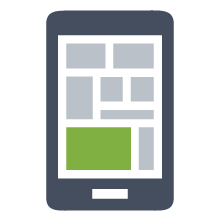 ImageViewTouch is an android ImageView widget with zoom and pan capabilities. uCrop is an Android library that allows you to rotate and crop images for further use. An android library for list section headers that stick to the top. Android widget for cropping and rotating an image. Small library allowing you to make a smooth indeterminate progress bar. An all in one drawer library that follows the Google Material Design Guidelines. A simple yet beautiful color picker component for Android. An Android CalendarView based on the Windows 7 style clock calendar. The android-pulltorefresh project provides a reusable pull to refresh widget for Android. Free and efficient widget for creating zoomable applications. Multi row "segmented control" for Android, with a lot of customization properties. Android implementation of cover flow widget. DroidUX is a commercial Android UI component library.